The Aam Aadmi Party, which has a strong fixation towards anti-corruption, recently launched a public awareness campaign on 49-O, as a part of their ongoing, 'My vote is not for sale' campaign in Karnataka. 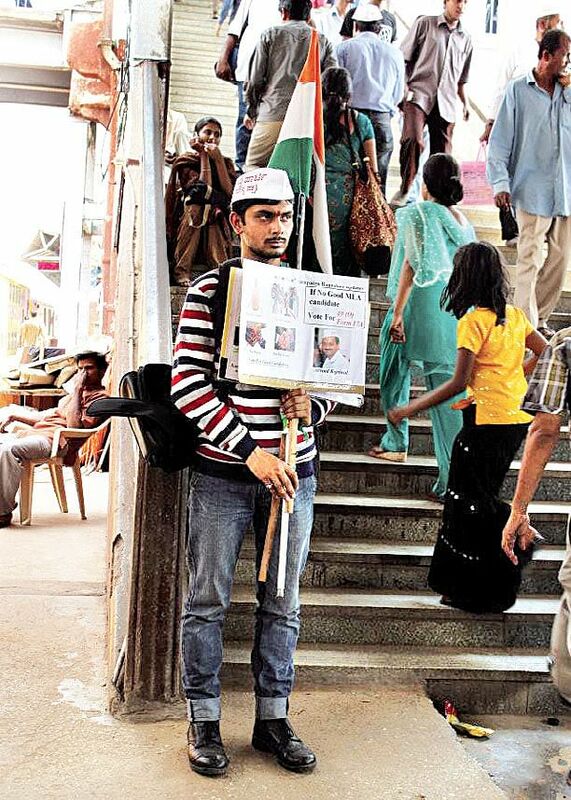 Sumit Negi, coordinator for Aam Aadmi Party-Karnataka, said, "The whole idea behind our campaign is to make sure that people do not sell their vote for any monetary inducements. We ask them to reject liquor, sarees, money, etc. We are trying to educate the people about the candidates in their constituencies, so that they will be able to make informed decisions." But, such an option seems far away. According to Sumit, as the EVM (Electronic Voting Machine) does not currently have a button for 49-O, the secrecy of ballot is lost. "As of now, 49-O is not counted towards a win. Our demand is to make sure that if a particular constituency polled 49-O more than what the candidates have won, there should be a re-election in that constituency and the rejected candidates should be barred from contesting for the next six years," observed Sumit. The party has even presented a memorandum to this effect to the chief electoral officer of Karnataka Election Commission. Siddharth Sharma, one of the founders of Aam Aadmi Party said, "We have demanded that all the polling officers be educated about 49-O, so that when a voter wants to exercise it, those officers on election duty should be able to facilitate it properly." The Chief Electoral officer Karnataka had passed a circular to this effect. Sumit Negi said, "Our demand is for the voter to have the right to reject all the candidates if he or she is not convinced."